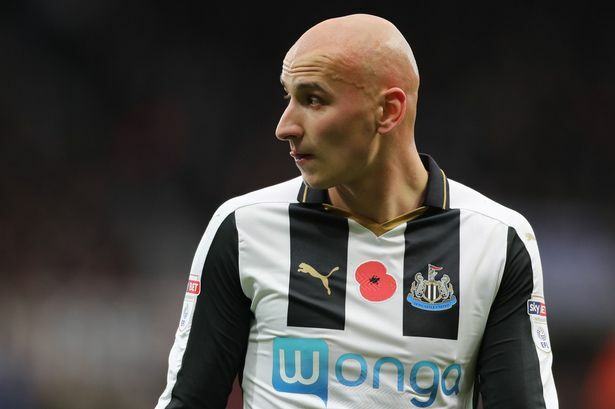 Newcastle United midfielder Jonjo Shelvey faces the possibility of receiving a five-match ban, after he was charged with using racist language towards an opposition player. The 24-year-old is thought to have insulted Wolverhampton Wanderers (Wolves) Moroccan international Romain Saïss during a Championship clash two months ago. The Magpies lost the particular encounter 2-0 at St.James's Park on Tyneside. Saïss, who reportedly understands a limited amount of English, was oblivious of the insult, with one of his teammates reporting the incident according to The Telegraph. The teammate claimed that racist language had been used, and after interviewing several Wolves' players, the FA have decided to charge Shelvey. Shelvey has not indicated yet whether he will contest the charge.